A view over the gully - "Mews Slade" . On a low tide a large area of sand appears here . 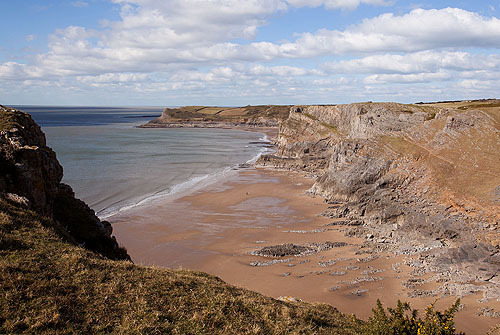 It may be possible to walk along the sands , cross a wave cut platform and reach the sands at Fall Bay.